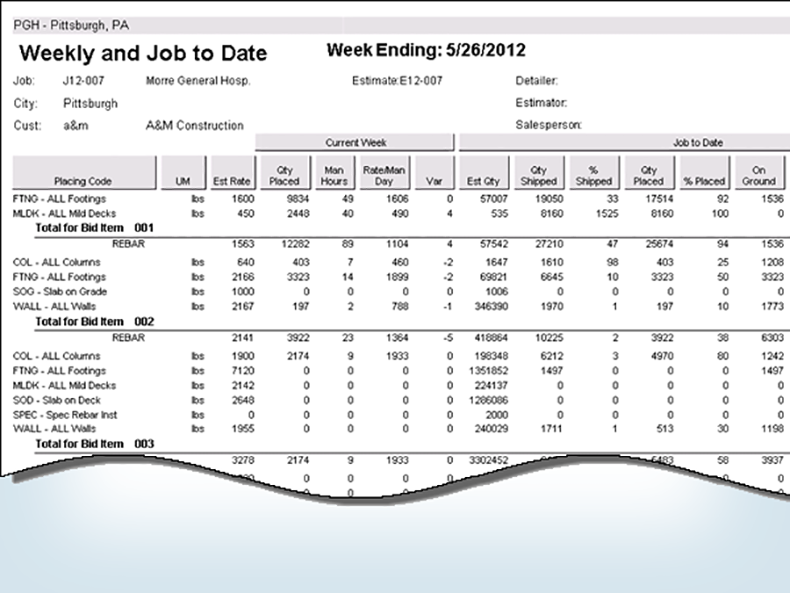 aSa Field Placing helps you to easily manage all of your rebar placing data, from the initial estimate to the last bar installed at the jobsite. 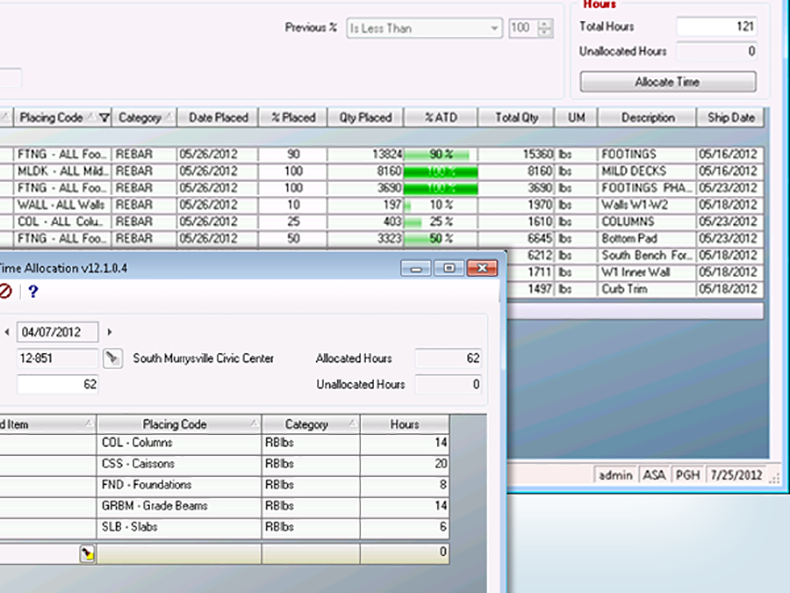 You’ll always know how much you’ve shipped, how much you’ve installed, and how many hours your placing crew worked. Scroll through the screens below to explore just a few of the many benefits of aSa Field Placing. 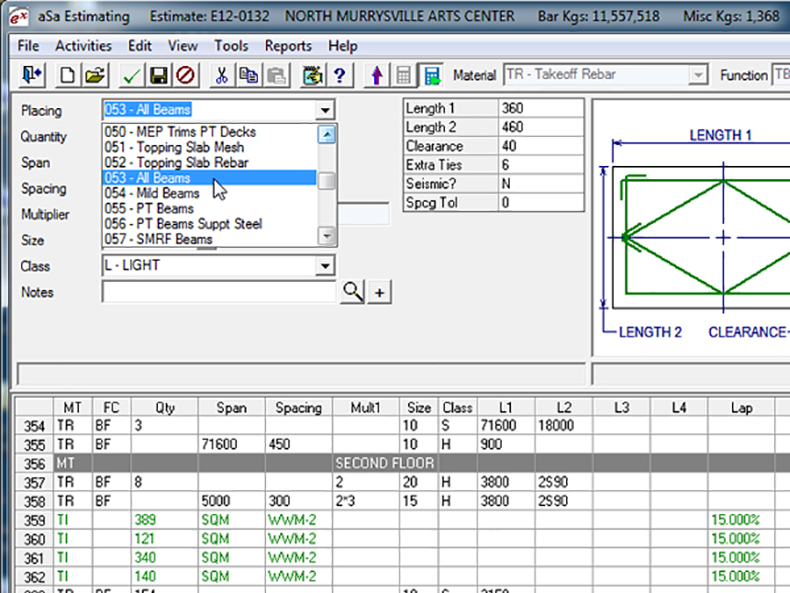 Categorize estimate takeoff based on placing characteristics. 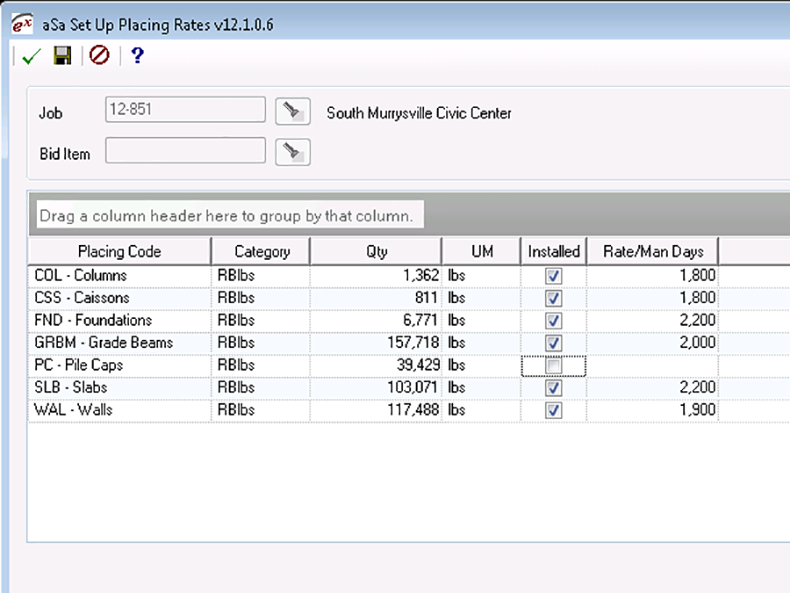 Allocate estimated installation hours for each placing code. Each week, record percent placed and installation hours. 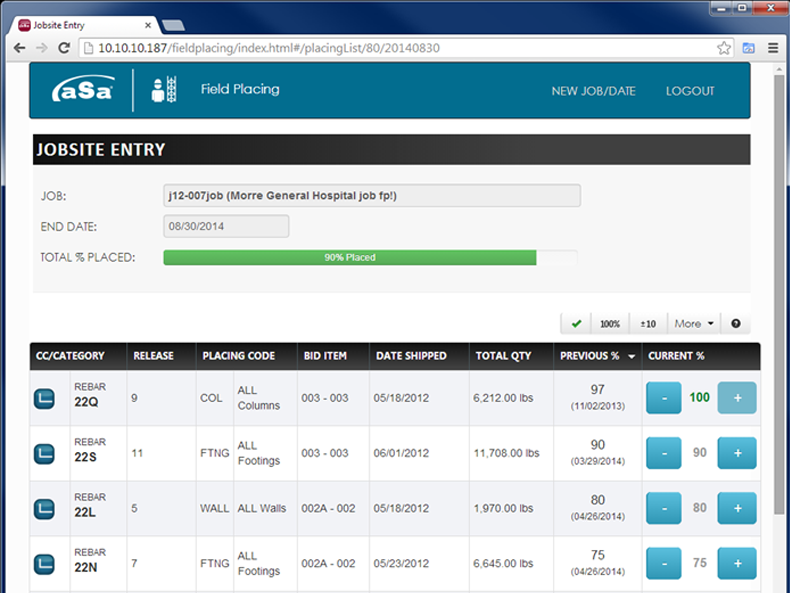 Web application lets you easily update placing information from the jobsite. Powerful report gives you a comprehensive picture of the installation in progress.